I want to discuss the armed assault of the U.S. consulate on the 11th of September 2012 in Benghazi, Libya. Not necessarily because I want to, but because I feel compelled to in light of the hyper-politicization by Republicans and FOX News. Even in light of all we now know, their continued perpetuation of false narratives and misconceptions have frustrated me and now I just want to finally clear up this non-issue. Now as a general disclaimer, I am NOT saying that there should be no concern in the media over Libya, I am NOT trying to minimize the tragedy that led to four brave Americans losing their lives, and I am NOT saying that there should not be an investigation or Congressional hearings. Now, let's begin. To be clear on what I am arguing against, I will outline my concessions. Yes, the compound was not as secure as it should have been, but it was not a full scale embassy. 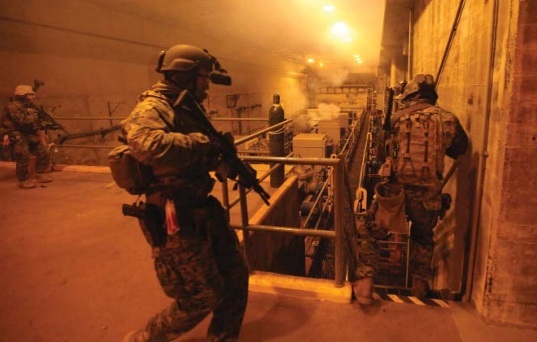 The U.S. is still in the midst of fiscal turmoil, and as a result of austere fiscal policies, everything suffers - here it was the quality of security for the foreign consulates. And for a general outline and background for the events that transpired, here is the official time line of events that unfolded at the Benghazi consulate. [Links Here and Here] The myths that have entered the dialogue that can be addressed and thusly refuted by the timeline will not be mentioned here. 1. Before the assault in Benghazi even began, the Republican leadership in Congress was trying to defund security resources in Libya. 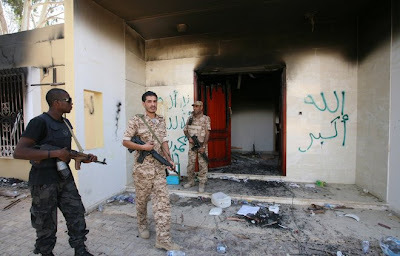 [Links Here and Here] While admittedly this is a fleeting assumption, it shows a continued trend of politicizing the events in Libya as well as Republican opposition to Obama's foreign policy. Perhaps if the mission had been able to fully operate to the extent it needed to, the threat of these armed militias could have been curbed during NATO's Operation Unified Protector. 4. Furthermore, even if F-16's were sent from Aviano Air Base, the nearest U.S. air base in Italy, it actually had the potential to be devastating. Here two separate premises that are true must be expanded upon: 1) That the real time conditions on the ground were murky and 2) That the attacking faction was heavily armed. 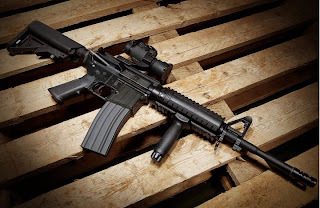 The militants obviously wanted to inflict as much damage as they could on American assets. Sending an F-16 would have fed in perfectly to their plan, due to a long forgotten post-Gaddafi development - the proliferation of nearly 20,000 MANPADs in Libya. [Links Here and Here] MANPADS are Man-portable air-defense systems, which are basically shoulder fired anti-aircraft munitions like the FIM-92 Stinger. So if these heavily armed militants had gotten their hands on an anti-aircraft missile, and F-16 flyover would have resulted in a tragic addition of loss. Not only would the consulate's security personnel have been lost, but the reinforcements would have been walking into an ambush. Again, this demonstrates the need for prudence and explains why hastily sending reinforcements into this murky situation could not be justified. Now, to address the recent reactions, I will deconstruct the criticisms of Susan Rice and examine John McCain's hyper-politicization of this issue. First and foremost, Susan Rice is a brilliant intellectual and academic. From the State Department website: "Ambassador Rice received her M.Phil (Master’s degree) and D.Phil. (Ph.D) in International Relations from New College, Oxford University, England, where she was a Rhodes Scholar. She was awarded the Chatham House-British International Studies Association Prize for the most distinguished doctoral dissertation in the United Kingdom in the field of International Relations. Ambassador Rice received her B.A. in History with honors from Stanford University, where she graduated junior Phi Beta Kappa and was a Truman Scholar." [Link Here] But the attacks hurled at her since are quite laughable. 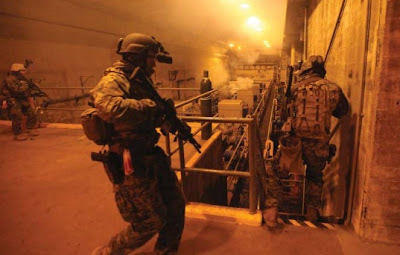 - "The currently available information suggests that the demonstrations in Benghazi were spontaneously inspired by the protests at the US Embassy in Cairo and evolved into a direct assault against the US diplomatic post in Benghazi and subsequently its annex. There are indications that extremists participated in the violent demonstrations." - "This assessment may change as additional information is collected and analyzed and as currently available information continues to be evaluated." 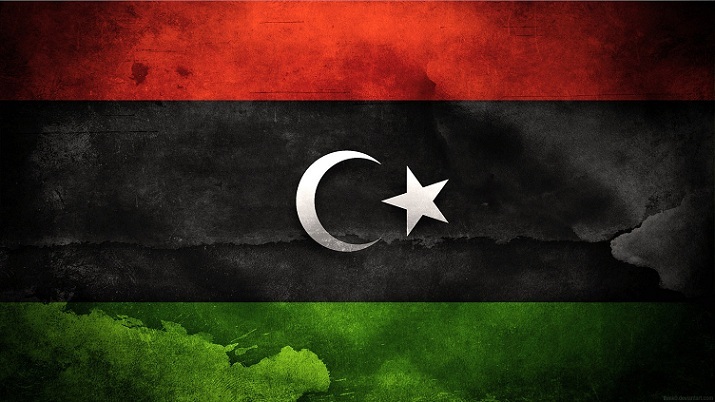 - "The investigation is on-going, and the US Government is working with Libyan authorities to bring to justice those responsible for the deaths of US citizens." In this context, she was just a mouth piece. It was a failure of intelligence that led to her making the remarks that she did. And as popularized in the 2012 presidential debates, President Obama did refer to the assault on the Benghazi consulate as a terrorist attack. Just like Condoleezza Rice and, especially, Colin Powell - their erroneous remarks concerning Iraq and WMD's were due to bad intelligence. 3. John McCain has repeatedly highlighted the lack of information being released about the Benghazi assault. This is hilariously ironic in light of the fact that he purposely absent from an official classified briefing about the details of the investigation into Benghazi. 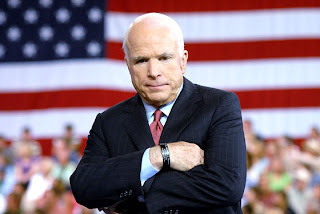 Perhaps if McCain had attended the briefing instead of spending his time in a hyper-partisan fashion by politicizing the attack, he would have answers to the assertions he keeps blindly hurling at the Obama administration. [Link Here] In fact, when McCain was questioned by CNN about this issue, he responded by saying, "I have no comment about my schedule and I'm not going to comment on how I spend my time to the media," McCain said. Asked why he wouldn't comment, McCain grew agitated: "Because I have the right as a senator to have no comment and who the hell are you to tell me I can or not?” [Link Here] I think this just demonstrates the declining integrity of John McCain and the withering of a long political career. He should have taken the loss in 2008 as a nod to go ahead and retire. 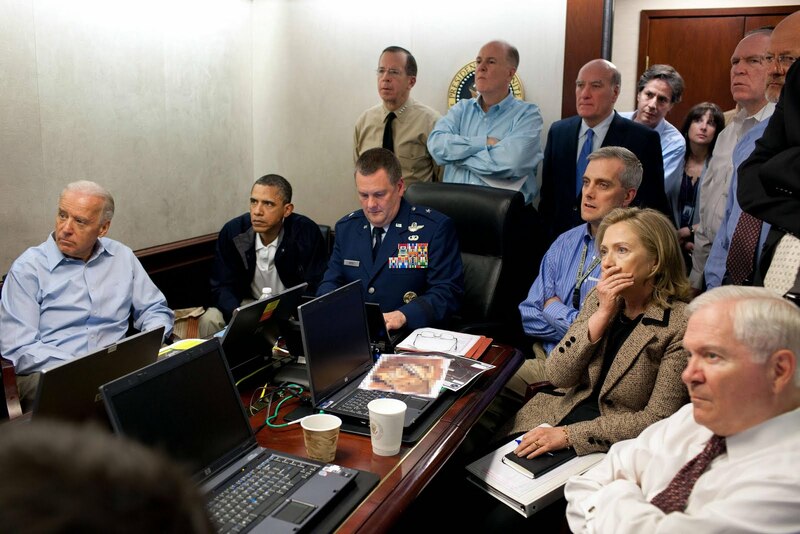 The investigation into what truly happened in Libya and how the Obama administration responded is currently ongoing. But the fact that the investigation has already been launched is the important takeaway. As the revelations emerge, the picture will be more clearly formed. But until then, the defamation of Susan Rice and the criminal accusations being hurled at the Obama administration are based on ignorance, partisanship, and imprudence. I don't claim to be an outright expert on all things State Department or Classified Intelligence, but I am quite the authority on post-Arab Spring Libya. Check out my NATO Project Page to see some of the research I have done on this subject. Please share this so the uninformed can become informed and we can finally stop hearing about this hyper-politicization. Because amidst the partisan narrative, the real issue has become lost in the fog of politics. Here is an article from the OU Daily on the demonstration. Starting in the early 2000's, the rocket attacks launched from the Gaza Strip are responsible for approximately 60 Israeli deaths and 1,650 Israelis injured. 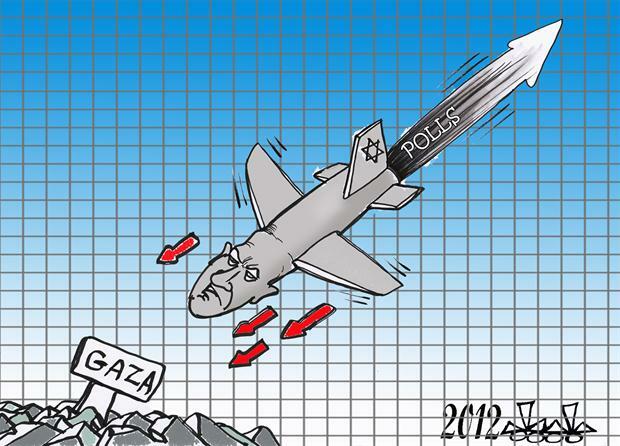 All rockets launched from the Gaza Strip are considered by Israel to be the work of Hamas. 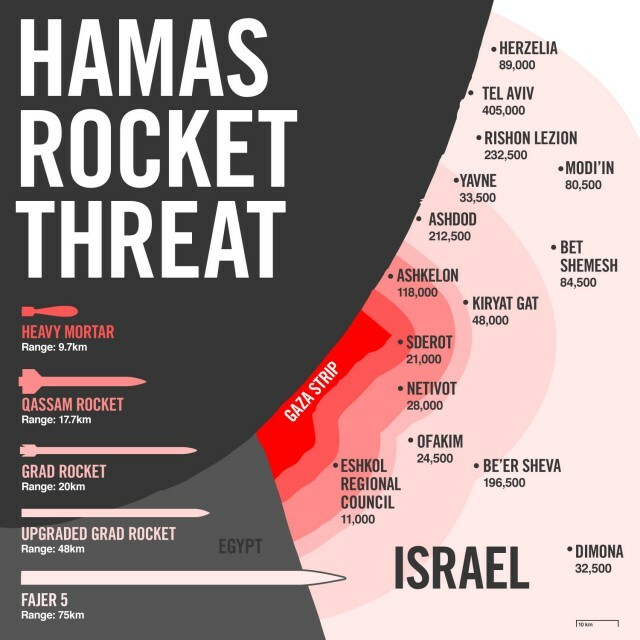 In reality the majority of the rocket attacks emanate from terrorist groups like the al-Aqsa Martyrs Brigades [Fatah], Islamic Jihad, and the Popular Front for the Liberation of Palestine - while about a third of rocket attacks are perpetrated by unknown or unaffiliated actors. Albeit, the argument could be made that Hamas demonstrates tacit support in so far as it is not able to prevent third-party rocket attacks, but it is worth noting that Hamas does claim responsibility when launching their own attacks and has policed other groups attempts at rocket attacks. Yes, Hamas is widely designated as a Foreign Terrorist Organization (FTO) and it is the elected government for the Gaza Strip. However, this does not mean that Palestinian civilians in the Gaza Strip are explicitly supporting Hamas in terms of their military/resistance actions, nor are they endorsing such activities. Hamas also polices, provides public services, and operates schools & hospitals in the Gaza Strip. Furthermore, public opinion polls of Palestinians in the Gaza Strip have shown an increasing rate of disapproval of the rocket attacks and an decrease in the view that the rocket attacks help Palestinian goals. When local Palestinians in the Gaza Strip have tried to prevent rocket attacks, their families are terrorized and/or murdered. Even in the West Bank, western-backed Palestinian President Mahmoud Abbas has vocalized his condemnation of the rocket attacks. The number of rocket attacks coming from the Gaza Strip, since 2001, has been put at 7,882, with an estimated 4,890 mortar attacks, for a total of 12,791 attacks. 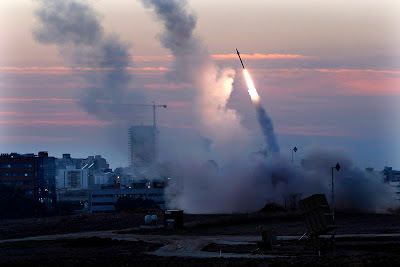 Israel has responded to the rocket attacks by launching 7 official operations in the past decade, Operation Rainbow (May 2004), Operation Days of Penitence (2004), the 2006 Israel-Gaza conflict, Operation Autumn Clouds (2006), Operation Hot Winter (2008), Operation Cast Lead (2009), and Operation Pillar of Cloud (2012 - Currently Ongoing), while also intermittently dealing with individual rocket launches on an individual response strike basis. 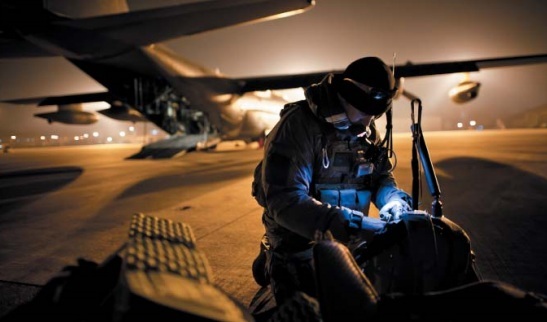 The Israeli Defense Force (IDF) and the Israeli Air Force (IAF) conduct thousands of sorties, bombing hundreds of targets, over the period of an operation targeting rocket attacks. And although official sortie operation numbers from the Israeli Air Force are hard to find, there are an average of 2,000 per operation. So over the last decade the number of sorties performed by the Israeli Air Force are, by estimate, nearly similar in quantity to the rocket attacks from the Gaza Strip. Israel has developed two response systems for the rocket attacks: the Red Color early warning system and the famous Iron Dome defensive countermeasure anti-missile battery system. Both are highly advanced radar based systems. The Red Color warning system provides a town's residents with a 15 second warning of an incoming rocket. The Iron Dome defensive counter measure tracks an incoming rocket and fires countermeasure rockets to neutralize the threat - with about a 90% success rate. 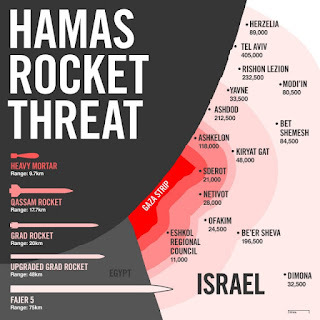 So, in the reality of statistics, the majority of potentially damaging threats to Southern Israel presented by the rockets fired from the Gaza Strip are effectively eliminated. The Qassam class rockets that account for 92% of the rockets fired from the West Bank have a payload range of 10-45 lb. (5-20 kg) in the form of an explosive warhead with bearings. 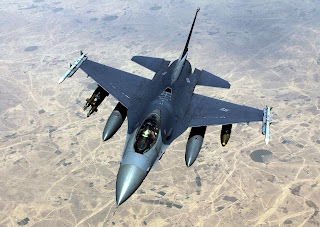 The Israeli Air Force often responds with rapid response Helicopter Gunships or F-15 and F-16 airstrikes targeting the areas in the Gaza Strip where the rocket attacks were fired from. Here is where a core problem emerges. The effective size of the Gaza Strip is 141 square miles (365 square kilometers) - about the size of Denver, the U.S. Virgin Islands, or Liechtenstein. The population of the Gaza Strip is 1.7 million - about the size of Indianapolis, West Virginia, or Qatar. The population density of the Gaza Strip is 12,056/mi2 (4,657/km2) - about the same as Chicago, the Washington D.C. metropolitan area, or Moscow. These factors are clear evidence as to why the Gaza Strip is one of the most densely populated areas in the world. So when the Israeli Fighter Jets drop a 150 lb. (70 kg) cruise missile or a 500 lb. (225 kg) precision guided air-to-ground missile (AGM) on their target, it should come as no surprise that collateral damage to the civilian population is almost assured. The estimate of rocket attack response casualties are approximately 1,000 Palestinian deaths and 6,650 Palestinians injured. The ratio for Palestinian to Israeli casualties are 4:1 for injuries and 16:1 for deaths. Again, this comparison demonstrates the disparity of Palestinian and Israeli aggression. The British Balfour declaration stated that "nothing shall be done which may prejudice the civil and religious rights of existing non-Jewish communities in Palestine." This is a long gone consideration. The wealth and luxury of Israel bordering the occupied Gaza Strip and West Bank is humanity's greatest irony; the best of what that the modern western world has to offer, next to deplorable and devastating conditions - conditions resulting from and preserved by that slice of the western world. This paradox is ingrained in Israel's founding principle - "A Jewish Democratic State." It can be Jewish, and Israel can be democratic within that Jewish demographic, but this is racist. This is fine, but it has to be recognized and not simply ignored - and as a result, is nothing more than an artificial democracy. Fervently reiterated is the point that "Israel has a right to exist." No nation-state has a 'right' to exist, they do, however, have a right to defend themselves. The whole concept of Zionism and Israel is for "the Jewish right of return to their historic homeland." Yet the Palestinians who were forced out of Israel and the thousands who have fled as refugees are categorically denied this right of return privilege and instead are downplayed as the "Palestinian refugee issue." That term is used by Israeli politicians, Netanyahu and the like, to casually describe the ethnic cleansing that is taking place. This is a double standard, justified by racist policies, to preserve a racist status quo. The claims of Zionism and thus, Israel are political in nature, but based off of religious mythology. Critiquing Zionism and Israel is not anti-Semitic, nor is it "New Anti-Semitism." Criticizing a political and national foundation is not being critical of Judaism or Semitism - and any conflation of such is the fault and consequence of using those as the foundation for the justification and legitimization of Zionism and Israel. "Unlike asking “Are Jews a family?”, as historians have traditionally done, geneticists seeking to advise Ashkenazic families are also, in passing, asking, “Do Jews all share the same versions of one or more genes?” - a question with a testable, precise answer. As no two people except pairs of identical twins have exactly the same version of the human genomic text, this claim could be confirmed or rejected by a search for versions of the human genome shared by all Jews and no other people." "At a recent meeting of the Association of Orthodox Jewish scientists and the Columbia Center for the Study of Science and Religion, it became clear that Jewish curiosity has provided sufficient genetic material to give a perfectly clear negative answer: There is no support in the genomes of today’s Jews for the calumnious and calamitous model of biological Judaism. Though there are many deleterious versions of genes shared within the Ashkenazic community, there are no DNA sequences common to all Jews and absent from all non-Jews. There is nothing in the human genome that makes or diagnoses a person as a Jew." "People - our species - are one family in precisely the same way that Jews are not. The story of Ashkenazic inherited diseases should make us all sensitive to the larger issues of inherited disease, and of genetic difference. But beyond the obligation this story tells us all to undertake - to accept the evidence and give up vain hopes of any religious birthright in our genes - is an even larger moral duty." 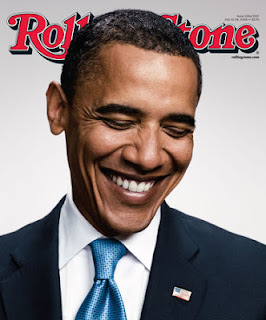 Obama Wins 2012 Presidential Election! I am proud to say that I voted for President Barack Obama and Vice-President Joe Biden today! Yes, Romney did win my state of Oklahoma, but that was expected and all but certain. However, a more interesting and intriguing development has emerged in this election. The states where Mitt Romney was Governor - Massachusetts and Born - Michigan; as well as the state where Paul Ryan was born and is currently a Congressman - Wisconsin, have all been won by Obama in a decisive fashion. Many pundits and politicos were surprised, but I know why this turned out to be the case. The connections the Republican ticket had with these states where intimate, personal, and sustained. The voters in these states are clearly thoroughly familiar with the candidate's policies, platforms, and track records. What happened was these voters have direct insight that the entire country was not privy to. Acting on what they clearly knew - Mitt Romney's records & policies as a Leader & Governor and Paul Ryan's record & policies as a nationally elected official - they opted for the clearly better option. They rejected the failed policies professed by the Republican ticket and embraced what they knew to be effective, triumphant, and successful - President Barack Obama's proven track record, leadership, and policies through America's toughest trials and tribulations in generations. FOX News, CNN, and All Major News Entities have confirmed that Obama is Projected to Win! Here are my projections for the outcome of the 2012 Presidential election. I have no specific methodology or data interpretation - I just went with my gut. Obviously in the coming hours, and maybe days, a full comparison can be made with my projections and actual results. Obama wins 313 to 225! UPDATE: I was 98% accurate in my projection model, correctly predicting 49/50 states - but not giving Virginia enough faith. My favorite election/polling blog, FiveThirtyEight and Nate Silver accurately predicted how 100% of the states would fall. Check out CNN Election Center and FOX News Results for the final poll results. I would like to thank the entire Obama - Biden 2012 re-election campaign for a hard fought battle against an atrocious FOX News and their Romney - Ryan election campaign. In the coming hours, days, and weeks I hope you will join me in watching, enjoying, and laughing at the apocalyptic and catastrophic meltdown that will likely hit the FOX News establishment. This self-induced hysteria is a result of the re-election of President Barack Obama. As for me, join me in watching a Live Election Special Edition of The Daily Show with Jon Stewart on Comedy Central. Enjoy the rest of tonight's excitement and I'll see you in 4 years for the election of the Clinton - Booker 2016 Democratic Ticket! WE Are victorious America! Now Forward We Shall Go! The principle that President Obama highlighted was made famous by the 18th century French writer, playwright, and philosopher, Voltaire. [Wikipedia Entry] The exact attribution of the quote is shadowy and not concrete. However, Voltaire is known to have actually said - or rather written in his Essay on Tolerance, "Think for yourselves and let others enjoy the privilege to do so too!" While the famous quote that has been attributed to Voltaire is, "I disapprove of what you say, but I will defend to the death your right to say it." Please feel free to share on the internet! Here is a 5 minute clip of Obama's speech today. 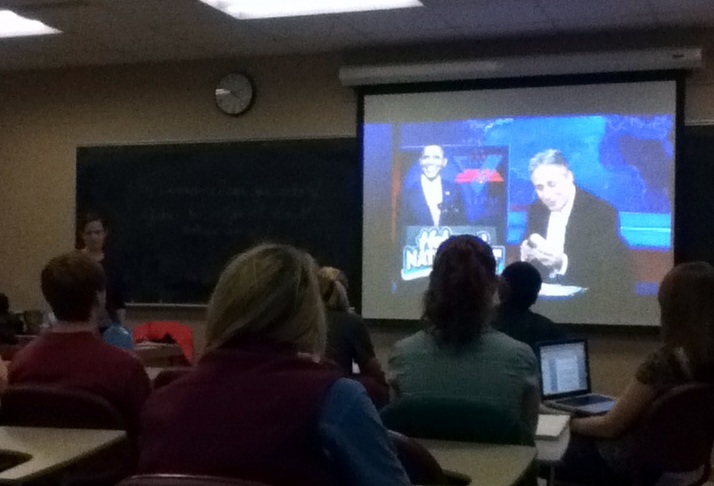 Thanks to C-SPAN I was able to cut a specific clip. The quote I highlighted in today's post is only a few seconds in, but I included the larger context to fully paint the positive and liberating message President Barack Obama is re-affirming in the United States of America and re-iterating to the world. After a fascinating and fulfilling summer in Belgium, I have since returned to Sooner Nation! I have some new and exciting developments on the horizon for my senior year here at the University of Oklahoma. 1. I will be graduating in the Spring of 2013! My journey from a Journalism Major to a Double Major in Political Science and Religious Studies is almost complete. This semester is another 18 hour intellectual marathon. I am taking 6 courses: Administration & Society, Making Public Policy, Voters & Campaigns, The Christian Religious Tradition, The War on Terror, and Covert Action. And per usual, I will be posting my graded papers on this blog. "This paper reflects excellent research and is persuasively (and passionately) argued and documented. You also nicely applied constitutional principles and tests." The reason for this edit overhaul is that my paper has been selected for publication in the University of Oklahoma Religious Studies Student Journal! 3. I have separated from PolicyMic. I enjoyed my time writing for them and really value the experience and feedback I gained. The majority of my work was covering the developments of the ongoing Syrian uprising. This was partly why I had been on a mini-hiatus from this blog. I have switched gears and have joined the University of Oklahoma's student newspaper - The Oklahoma Daily a.k.a. The OU Daily. Previously I had occasionally submitted letters to the editor and had been featured as a guest columnist. Now I am an official opinion columnist with a weekly op-ed column. As for the future, I will keep this blog updated at least on a bi-weekly frequency. So stay tuned for an exciting Fall 2012 Semester! P.S. I went to Belgium this summer and I will be compiling photos and writing a brief summary of my trip for the blog. This project is ongoing and covers a wide array of adventures! Something Wicked Awesome This Way Comes!